10 Brilliant Gifts for New Moms that will make them LOVE YOU! I’m not going to lie, buying gifts for new Moms can be tricky because it’s easy to focus on buying things that are JUST for the baby. In fact, when I had my first baby, I couldn’t think of anything that I wanted just for me. I wanted a crib, a diaper bag, and some baby carriers (see #9), but me? I couldn’t see past the cute Gymboree outfits, huge flower & bow headbands, and the myriad of cute things that I just HAD to have for my baby girl. 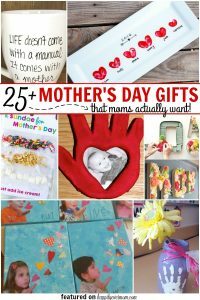 After having three kids, I’ve realized that giving a gift that is just for Mom, is really important. It doesn’t have to be flashy. It doesn’t have to be super creative. And, it doesn’t have to have a huge flower or bow. But, it IS nice to get something that makes Mom’s life easier! These 10 brilliant gifts for New Moms are some of the things that I’ve received as well as gifts that I’ve given to new moms that have been a HUGE hit. Finding comfortable maternity clothes while pregnant was a struggle for me. I tried Target and Kohls, but it wasn’t until I tried stitch fix maternity, that I found jeans that FIT. If there is one thing that you can give to a New Mom who’s pregnant or who’s just had a baby, give her the gift of comfy jeans. Trust me. It’s an accomplishment when you can slip back into a pair of “regular” jeans post baby. Since it’s only $20 to order a custom box your doorstep, it’s super low risk to try it out. Just send the box back along with the $20 if you don’t like anything in the box. I’ve found the jeans and maternity tanks to be super comfy. But, the dresses? That’s what I’ve gotten the most wear out of (and the most compliments)! Psst…You can also give someone a Stitch Fix gift card to try it out ~ Best baby shower gift ever! I know, these brilliant gifts aren’t supposed to be about the baby. But, have you ever tried to wash poo off of a cloth diaper when you’re sleep deprived? Yah. It’s not easy. The truth is that a lot of new moms are at least *curious* about cloth diapering. Do new moms a favor and give them this little gem, so they can rinse their cloth diapers with a little less effort (I promise it will make their life easier). New moms may not realize how much they are going to do while they hold their baby. I certainly didn’t. Anyone else master the art of going pee while holding a baby? Just me? Going to the bathroom, cooking eggs, and washing hands are just a few things that we learn to do one-handed. This automatic soap dispenser is not only fancy, but will make it easier for Moms to protect themselves and their baby against germs. The bonus? This gift will grow with them because toddlers will LOVE using this too – maybe a little too much. Listen. Whether your friend loves coffee, tea, or roman noodles, the Keurig delivers HOT water with the push of a button. It’s goes back to my argument in number #3 that Moms have to do a lot of things one handed. Trust me, you do not want to be pouring hot water with a baby in your arms, but Mama needs her coffee and sometimes we get desperate! Giving them the Keurig along with these awesome reusable pods will make their hot water dreams come true WITHOUT having to set the baby down and wake them up. Psst…make sure you get pods that match the correct Keurig! I don’t know why I waited so long to do meal train, but it wasn’t until my third baby that I finally gave it a go. I cannot express how amazing it was to have meals delivered by friends! Because there’s a calendar for people to sign up, you won’t get any overlap. It’s like a personalized blue apron except that you don’t have to get any dishes dirty to cook the ingredients. How amazing is that? The best thing is that my sister-in-laws froze a few extra meals for me along with the meal train. I didn’t cook until my son was a month old and it was HEAVENLY!! It’s no secret that I’m a sucker for a cute coffee mug and a super soft cookie. I even have a Pinterest board dedicated to cookie recipes because I’m *that* obsessed. Yum. Anyway, grab a cute mom mug and fill it with the dry ingredients to make cookie in a mug. You can find my favorite recipe HERE. If you think your Mom friend like chocolate better, try a brownie in a mug recipe instead or even a cinnamon roll in a mug. The options (and delicious-ness) are endless. I know *I* certainly wouldn’t do that. Most of my friends have Netflix, Hulu, or some combination, but not every Mom does. Think about grabbing her a year long subscription and print off this awesome secret code list in this post. Apparently, these codes “unlock” extra shows and movies within a particular genre, and when you are staying awake with a newborn, you’ll need those extra episodes! Instead of getting one carrier, go in with a few other people to buy carriers that will work for the first year. I suggest grabbing a Boba (for the newborn phase), an ergo (great back support – this is my husband’s favorite), a sling (great for nursing), and a backpack carrier (great for hiking when baby is older). The truth is that most Moms will have to figure out which carrier works best for them, so why not give them the chance to try different styles out? I promise, this would be an AWESOME gift for any parent. The thing about becoming a mom is that you’ll need to buy things at inconvenient hours of the day. Need toilet paper? You’ll likely remember at 2am when you run out. Out of hand soap? It’ll probably happen when baby has a blowout at – you guessed it – 2am. I don’t know what it is about 2am, but save new parents the grief of running to the store by getting them Amazon Prime for a year. It’s the gift that keeps on giving and will allow them to keep a little bit of their sanity at 2am. Click the image below to grab Amazon Prime. 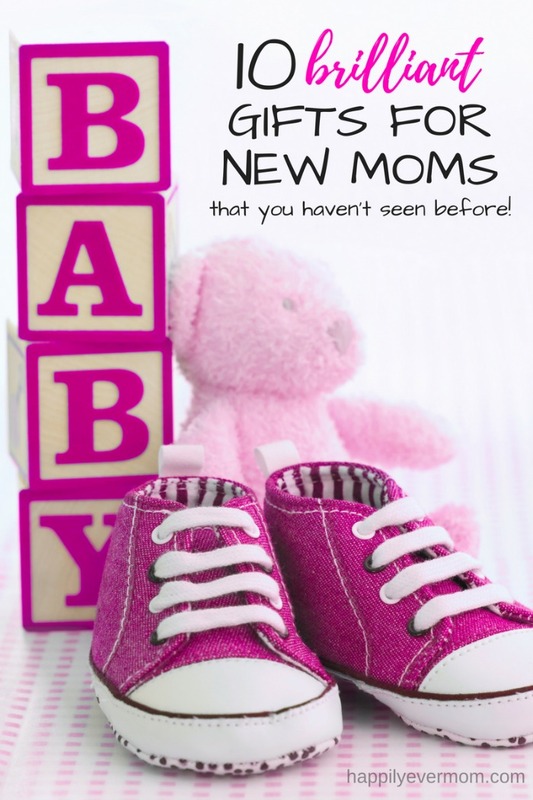 If you’ve got something that New Moms *have* to have, add it in the comments! I’d love to hear what your favorite gift has been.